Discover the difference Genesis MFG can make in your approach to custom manufacturing. For years, our manufacturing company in Houston, TX, has delivered above-average results to above-average clients. Now, we’re ready to put our skills to work for you and your projects. Reach out today to discuss your needs and learn how our expert team can help you achieve more with quality results. Unlike many manufacturing companies, we strive to collaborate with every client we serve. We’ve found that close cooperation allows us to provide the best service possible, as well as the finest results possible. Regardless of your project’s size or complexity, our team is up to the challenge. Our staff is made up of solution-driven problem solvers, and we welcome tough challenges. Our purpose is singular: to provide multi-industry access to a custom manufacturing company that’s ready to spring into action at a moment’s notice. The door never closes for our customers. Rest easy knowing our staff is prepared to begin working right away, especially when your project is time-sensitive. At Genesis MFG, we embrace problems because we’re confident that implementable solutions exist. Our manufacturing experts have experience machining all kinds of ferrous and non-ferrous metal alloys, so we’re limited only by the sizes our machines can work with and your imagination. If you can design it, we can make it. As craftsmen that pride themselves on quality workmanship, we hold ourselves to the highest standards. That means you can always depend on us for finely machined parts that check all your boxes. We’re an API Q1 and ISO 9001-certified machine shop, so turn to us when quality is key. Great results come from great equipment. That’s why Genesis MFG uses CNC machines that have a reputation for delivering beautiful finished products. They consistently turn out parts that offer increased durability and precision for many years down the road. However, equipment is only as good as the skills of the people handling it. We take pride in our staff’s ability to navigate our machine shop’s most fine-tuned machinery and deliver results that speak for themselves. 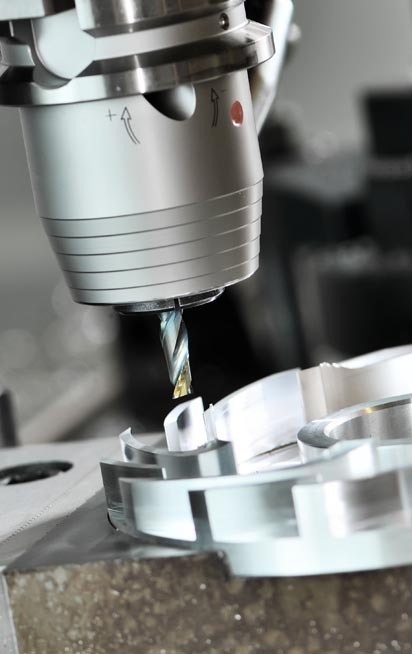 Contact our manufacturing company today to learn more about our machining capabilities and place your order. We proudly serve clients from our headquarters in Houston, Texas.